Maybe you’ve heard about a movement in Eau Claire to change city ordinances so they allow people to keep chickens in their backyard. 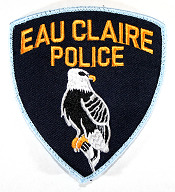 It’s spearheaded by a group called ECLUCK (Eau Claire Leaders for Urban Chicken Keeping, Facebook page) which includes residents of the Eastside Hill Neighborhood. Public comment on the issue is part of the City Council agenda for its Monday, April 26 meeting. Attached is a draft ordinance to create Chapter 6.17, entitled “Chickens.” The purpose of the ordinance is to outline conditions under which city residents may safely keep and maintain a limited number of chickens within the city of Eau Claire. The first reading of the ordinance will be at the City Council meeting of April 13. Public comment will be on the Council agenda for Monday, April 26, and Council legislative consideration will be on the agenda Tuesday, April 27. The draft ordinance will be posted on the website shortly. If you have questions regarding the proposed ordinance, please contact Assistant City Attorney Steve Bohrer at 715-839-6006. Just wanted to pass that along in case you feel strongly one way or the other! There are a lot of people out there that have questions about it. Here are some other concerns a few people on the East hill have asked me. Lots of people think that the raising of chickens for eggs in town will open up a lot of issues that will not be able to be resolved. There is no way of controlling or monitoring who and when people will kill the chickens for their own consumption (even though it is against the law). I don’t think that most people that have sick or injured chickens will spend the money to bring them to a vet’s office or have the city come and remove the animal. The city health dept. is busy enough now without worrying about checking up on the chickens! Also, I know there is a section stating about dogs and cats that kill or injures a chicken shall not be considered a dangerous animal. What is to stop a person that has a chicken from suing the dog/cat owner for the dog/cat killing a chicken in the person’s yard? Something has to be put in this ordinance making it SOLID that the dog/cat owner is NEVER responsible for any injuries of the chicken or damage to the chicken coop. Winter Problems: Do most people know that they will need to heat the chicken coops? Chicken’s feet can freeze in the winter. Is there going to be some kind of enforcement for that? Fire danger: There is a fire danger too, depending on what kind of heater will be used to heat the chicken coop. Who will have to pay for putting out the fire if any? During bad economic times, more personnel, i.e. inspectors, police, etc will have to be paid to go out to check out complaints. How can the city afford this added burden? How will the chicken droppings be disposed of and where? Could cause bad smells throughout the city and neighborhoods? Who would you put in complaints to? There are a few places in town all year long you can buy organic food including milk, eggs, vegetables, etc. Why not support those people? The farmers market is open year round. In the winter they have the market at the senior center once a month and in the summer it is from May to October. What about all the diseases that chickens carry? Who will take care of controling of a disease that is spread if it would go that far? What is the min/max of the yard size it has to be in? How close can it be to other peoples houses and how far away does it have to be. Do the neighbors need to give permission to put one up? Will people that live in apartments be able get chicken coops too? Do they need to get permission. If there are 6 people in the apt. do they get all get to have a coop? I see this reflecting Eau Claire’s efforts to become a more sustainable, eco-friendly community. 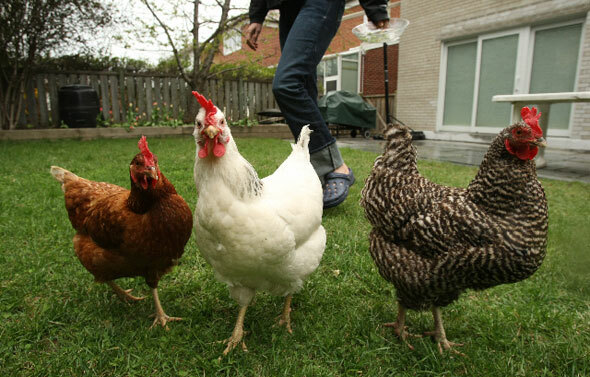 Allowing backyard chickens has made communities like Portland, Minneapolis, and Madison be just that. This is not a hair-brained scheme to bring a bit of the country into the City. On the contrary, if Eau Claire did not already have a UW-college, a thriving local food store and a growing sense of community witnessed at Boyd Park this winter, (all urban earmarks) the ordinance proposal would never have even come up! Below are the best responses I can give to your questions. Many come straight out of the proposed ordinance itself. 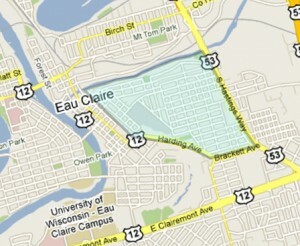 Available on the city website at: http://www.ci.eau-claire.wi.us/news-section/1917-proposed-chicken-ordinance. There is no way of controlling or monitoring who and when people will kill the chickens… – The ordinance prohibits killing in the City. The city health dept. is busy enough now without worrying about checking up on the chickens! – I agree, the City Health Dept should not be any more involved than they are with your dog or cat. What is to stop a person that has a chicken from suing the dog/cat owner for the dog/cat killing a chicken in the person’s yard? – Gosh – in this world, How do you prevent someone from suing for something? I looked into the animal control issues relating to chickens in Madison and Duluth. No occurrence like to one you describe has been reported. Do most people know that they will need to heat the chicken coops? – The ordinance requires humane treatment of animals. Inspectors, police, etc will have to be paid to go out to check out complaints. How can the city afford this added burden? – I’ll refer to my research in Duluth and Madison – Animal control in these cities have not had an increased workload due to the allowance of chickens. This is directly from the people working in those towns. Dangerous dogs is by far their main problem. How will the chicken droppings be disposed of and where? -To gardeners this is a no-brainer. The stuff makes great fertilizer. The ordinance reads as follows: All coops and backyards where chickens are kept or maintained shall be reasonably free from substances, including but not limited to chicken manure, such that it does not cause the air or environment to become noxious or offensive or to be in such condition as to promote the breeding of flies, mosquitoes, or other insects, or to provide habitat, breeding or feeding place for rodents or other animals, or otherwise be injurious to public health. What about unwanted rodents, vermin, – The truth is that rodents already exist in Eau Claire and are attracted to any unprotected food source like bird seed, dog food, cat food, open trash cans, fruit trees, and even fish ponds. There are preventative measures (chicken feed containers and coop designs) to nearly eliminate this concern. The ordinance requires: Chicken feed shall be stored and kept in containers which make the feed unavailable to rodents, vermin, wild birds and predators. What about all the diseases that chickens carry? – No incidence of this has occurred in a backyard flock. These problems are associated with factory farms. How close can it be to other peoples houses and how far away does it have to be. Will people that live in apartments be able get chicken coops too? – The ordinance will require Chickens be kept and maintained on a lot zoned R1 and used as a single family dwelling. A coop and any attached enclosure shall be located in the backyard of the license holder’s residence. A coop and any attached enclosure shall not be closer than twenty-five (25) feet to a residential structure on an abutting lot. Eau Claire has a leash law that applies to dogs and cats. If your Dog or Cat were to kill a chicken on it’s own property the owner of the loose dog or cat should be subject to animal at large laws and penalties. My dogs are confined to my yard and my cats to my house. It amazes me how many people still allow their animals to roam the neighborhood. You should always be in control of your pets. Much of the east hill is zoned R2. In fact, from what I can gather, the majority of the eastside hill would be unable to keep chickens if the ordinance passes as it is currently written. The only area of the east hill that is zoned R1 is south of Highland to Ohm, and 1/2 block east of Margaret to just west of Hastings. The city council will be meeting tonight at 7 pm if you’d like to voice your opinion. The proposed ordinance reads chickens may be “kept and maintained on a lot zoned R1 and used as a single-family dwelling”. First, this site is awesome and I love the fact that we can have discussions about things like this. Thanks to all who had a hand in it. OK, I want to put my two cents in on some of the concerns made by Ellen from the Eastside Hill. I will not pretend to be an expert, but like to forward what I have read and know. Also, I am an Eastside Hiller, own a home, will not get chickens in the near or distant future, and think the idea of people being able to have them is a great idea. Thanks. It is three pages of text and a five minute read. A lot of your questions can be answered there. 1. Killing chickens: Killing them on your property will be against the law. Will it stop people from doing it? People that get these chickens are not getting them for the meat. I don’t think anyone is going to kill them. Does anyone out there honestly think they are? And if they do and get caught,they will get in trouble with the law, just like anything else (speeding, child abuse, drug dealing, etc). 2. Sick chickens: From what I have read, seen on TV, experienced in other communities, etc, these chickens are more like pets. If your dog gets sick, are you going to take it in? Most people will, and I think they will too. If it is too expensive to care for them, then I am sure they will have them put down, just like a cat or dog. Remember, and this goes for number one as well, this is an investment people are doing. It costs time and money. 3. Sue: If a dog or cat kills your cat, dog, hamster, etc. can you sue someone? I think the whole suing discussion can go overboard. It is now part of our society. This discussion should not be specifically for chickens, as it is with everything (walking to school with my kids and a sidewalk not being shoveled). 4. Freezing feet: There are chicken coops a lot further north and west of here that get a lot colder. From what I have read, they can handle the cold. There are different types of breeds (someone can help me here) and I am sure if you are investing the time and money to do all of this, you are going to get chickens that can handle January and not some deep-south chickens. Chickens sit in nests, which have hay. I think people even insulate these coops. Heck, they are probably better insulated than my house was before getting it done this winter. 5. Fire: There is no fire danger, as they are not heated. 6. Inspections: I really don’t see this as an issue. Easy way to find this out is to call a city that allows them and see how many complaints they have per population. 7. Manure: How much manure is created by a chicken vs. a 30lb dog? Does anyone have the data on that? Heck, I have people in my neighborhood that have two 70+ lbs dogs. I have a feeling that five chickens produce a lot less manure than that. Also, sign me up at taking some of the chicken manure for my compost bin and garden. A lot cheaper and a lot better for the environment. We lived behind someone who had chickens in a previous city and we smelled nothing and heard nothing. 8. Purchasing: The ordinance, I believe, says they cannot sell their eggs. I don’t agree with that, but it is what it says. In regards to consumption for the people growing them, no disrespect, but this point is actually a little out there. I would be a little angry if someone said that my wife and I could not grow veggies. Heck, I have 40 seedling plants sitting in the sun right now. 9. Diseases: I will be honest, I don’t know anything about this. However, I don’t think that chickens naturally carry disease. 10. Property size: This is all in the ordinance. Myself, I think if someone has a big lot, they should be able to apply for a conditional use permit for more, but that is just me. 11. Apartments: Again, it is in the ordinance. One property gets a max of five chickens. A property of four units gets five chickens max. I hope there is not a thought out there that renters would not be good chicken owners. We lived in apartments up until two years ago and I like to think that I could have done just as good of a job as some property owner. After reading bhndrsn (I should have done that prior to my first post), I learned some new things and even feel more comfortable about allowing them in my community. That’s city-wide. This is one thing that stands out to me – it’s not like the neighborhood will be suddenly swarming with chickens. It seems like an *unnoticeable* amount of people will partake.